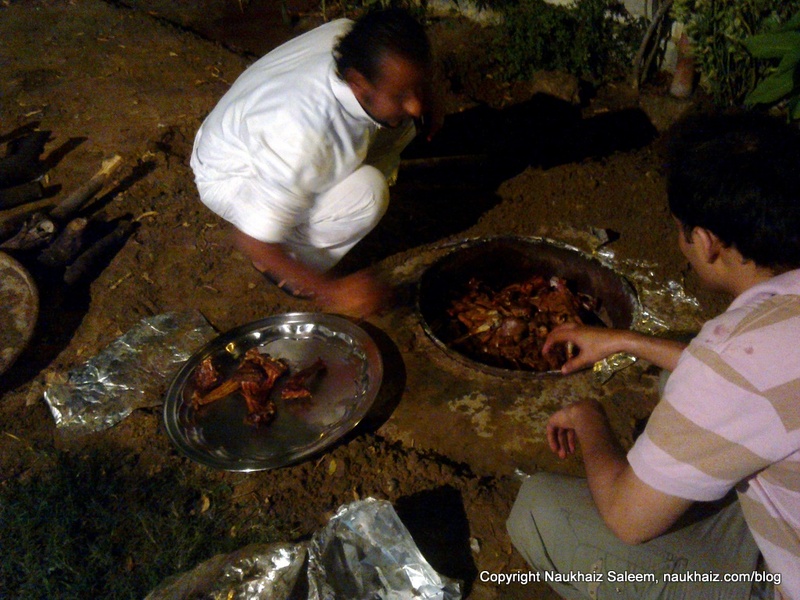 Thanks to the Saudi friends, Saif and I got to enjoy a dinner at Saudi Cultural Center in Karachi. 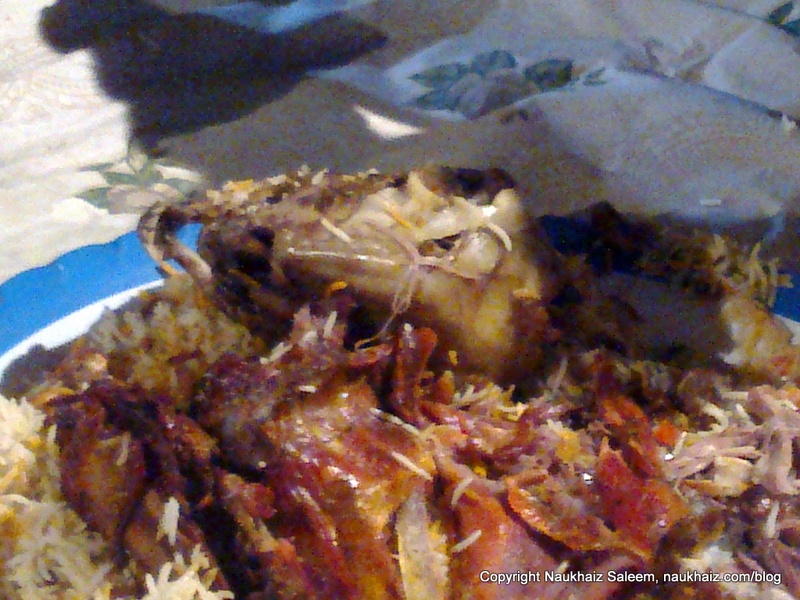 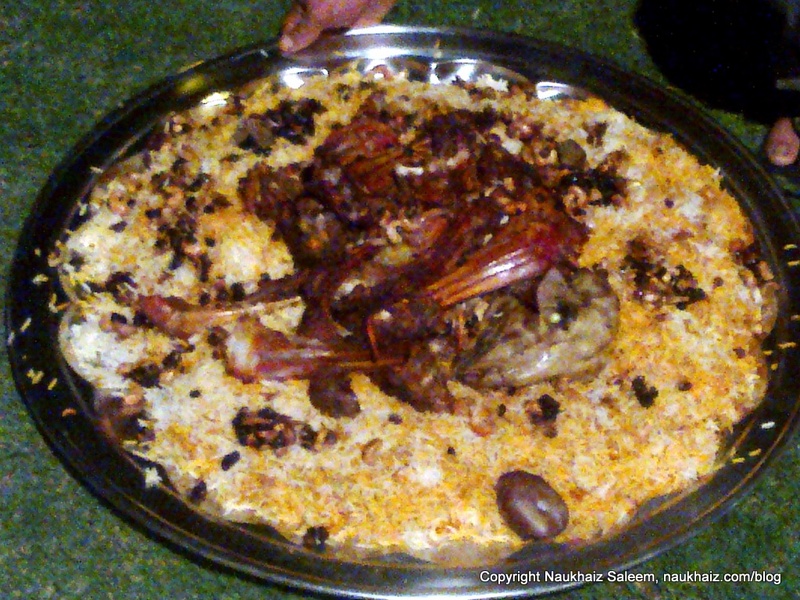 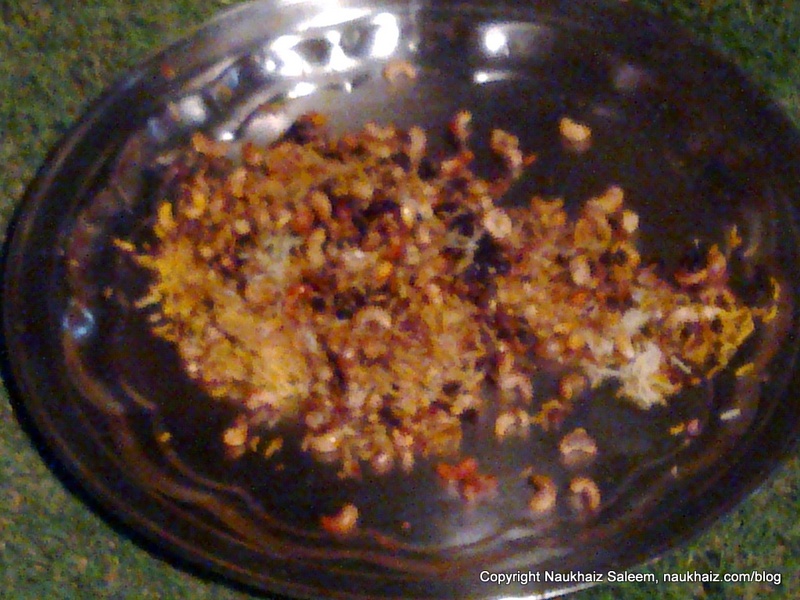 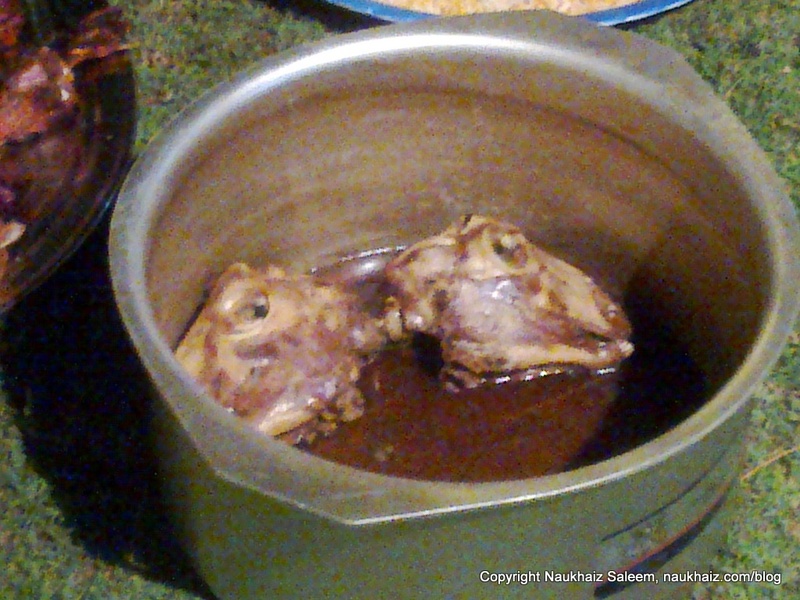 They had made “Mandi”, a Saudi Cultural Dish made of rice and mutton. 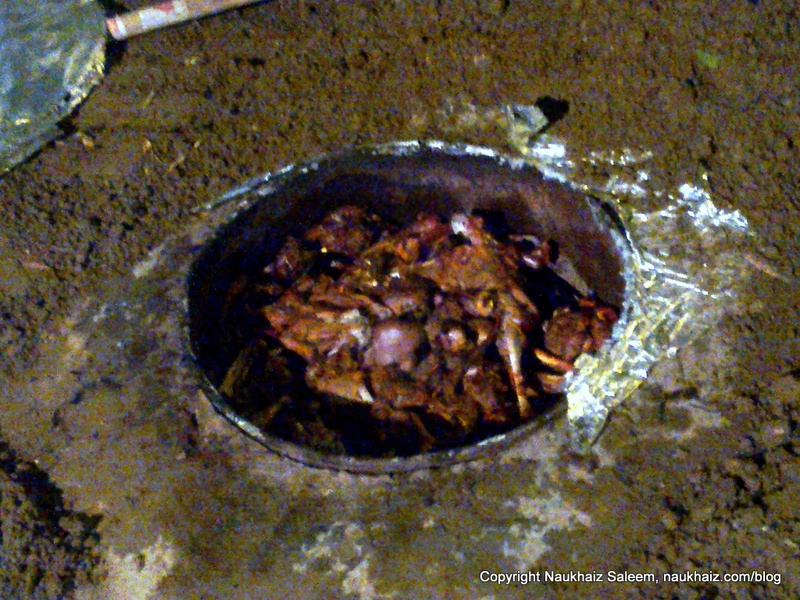 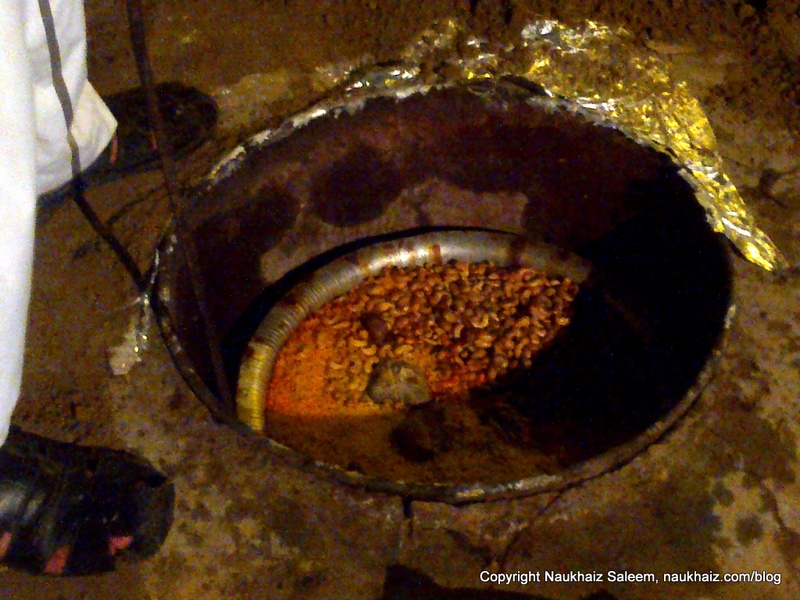 Both the rice and meat are put into a hole dug in the ground where it cooks, and then served in big dishes and everyone eats from the same dish (following Sunnah). 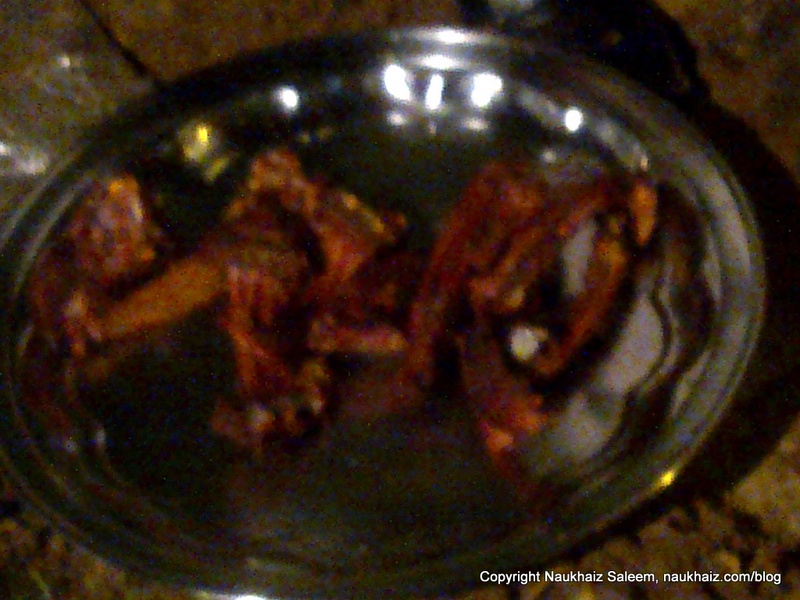 I have taken some pictures of the food, which might be blurred owing to low light.